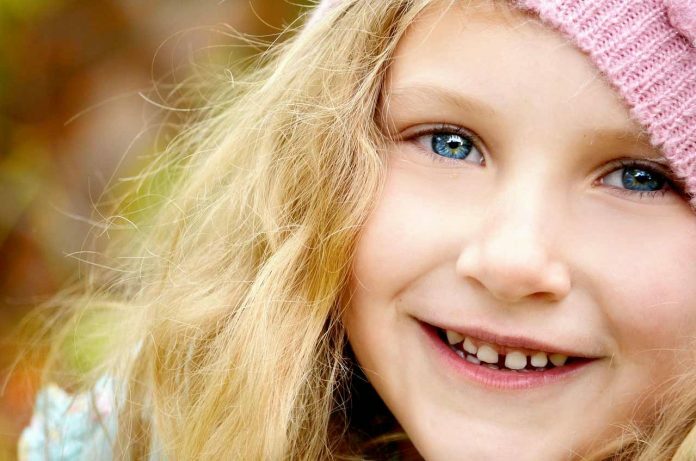 Diastemata or Teeth gap is a common dental issue among children and adults alike. Oftentimes, these teeth gaps happen because of an imbalance while permanent teeth are slowly growing in their specific place. Teeth gaps are usually situated in between molars and incisors. It can also happen because of the constant push and pull of the teeth and the frenulum, thus creating a gap. If you happen to experience teeth gaps because of these situations, you might have been wondering how to close a gap in your teeth in the safest way possible. There are several treatments available to help close the spaces in between teeth. Many orthodontists will suggest orthodontic braces to reduce the spaces in between your teeth, but this treatment takes time and money. However, there is one alternative on how to close a gap in your teeth without spending more cash. You can always give teeth bands a try, given that you have consulted your orthodontist beforehand. Teeth bands or orthodontic bands are elastic rubber bands that help fill the gaps between your teeth by binding them together. It fixes your bite by straightening your teeth and place them in their proper position. Why is it important to use the teeth gap band safely? Teeth bands can be easily purchased from any pharmacy. However, it is important that you purchase the one that is recommended by your orthodontist. There are two types of teeth band, namely (1) the closing band and (2) the retaining bands. Your dentist or orthodontist can recommend which of these two bands is best suitable for you. Improper usage of teeth gap bands may cause severe damage to your teeth and gums. So, consult your orthodontist to receive proper guidance. Teeth bands’ size does not have a specific measurement. Most of the time, it would vary on the brand of the teeth gap band. The orthodontist can help measure your teeth gap and can prescribe the right teeth band that is safe for your teeth. Improper usage of teeth gap bands can cause misalignment on your teeth, hence moving your teeth in a complex process. It’s important to note that prior to wearing teeth bands, you need to consider the tissues and muscles in your gums. If you force your teeth to move in a fast manner or moving it to the wrong angle, it can cause severe damage to your gums, as well as the connective tissues inside your gum. You will most likely experience tooth loss when this happens. Forcing to close a gap between your teeth without considering the size and position of the other teeth may cause severe misalignment of your jawbone, which can then lead to Temporomandibular Syndrome (TMJ) which is more expensive to cure. Another risk of improper usage of teeth bands can be abrasion. Wrong placement of the teeth bands can cause severe discomfort and bleed on your gums. Teeth bands should be placed in the middle of your teeth and not near the roots. Wearing the wrong teeth band can also cause more gaps in your teeth. Also, using extra bands can cause severe problems with your treatment. It can cause discomfort and pain in your mouth. It can also prolong your current treatment. Moreover, it can even damage your connective tissues, teeth structure, and the roots of your teeth. 1. It is safer and more comfortable to use. Teeth bands are more comfortable to use as compared to orthodontic braces. Most patients with Temporomandibular Syndrome (TMJ) often suffer from abrasion and irritation because of their orthodontic braces. They also suffer from root resorption because of the constant wearing of orthodontic braces. Teeth bands, however, can help lessen the pain because they are placed in the middle of the teeth, which makes them easier to realign. Patients can remove and apply them when necessary. Teeth bands also have a lesser grip as compared to orthodontic braces, which help the realignment of the jawbone more comfortable. Metal wires and ligatures can cause severe abrasion. Teeth bands are safer because they are made from non-latex and high-quality elastic materials, which are safe and hypoallergenic. The only time that a teeth gap band is not safe to use is when it is worn without proper consultation with an expert. 2. Straightens your teeth faster as compared to dental tools. Teeth bands and orthodontic braces have similar functions. They can straighten teeth and reduce the spaces in between the teeth. However, teeth bands can fix dental issues faster as compared to orthodontic braces. Orthodontic braces should be worn for at least 3 years or more to close the teeth gaps. For teeth bands, you only have to wear them for less than one year if the gap between your teeth is not that big. 3. Teeth gap bands are cheaper than orthodontic braces. Teeth bands are also relatively cheaper than dental braces. Most braces are very expensive, not to mention the professional fee of the dentist. It ranges from $3,000 to $10,000, depending on the types of braces and what they are made up. Some orthodontists often recommend the “Power Train Procedure” to their patients, in lieu of the orthodontic braces. The Power Train Procedure involves the teeth gap band being wrapped around the front row teeth to help realign and lessen the gap in between these teeth. It is cheaper and definitely costs less than $1,000. Power Train Procedure can be done by the patient only after a consultation with their orthodontist. The orthodontist usually gives instructions on how to place the band and which band should be placed on specific teeth. Teeth band manufacturers also offer a money-back service if you are not happy with their product. You just have to present the full receipt of the teeth band. 4. It helps builds one’s confidence. Having diastema can be one of the reasons for one’s lack of self-confidence to smile. Patients with this experience often receive lesser opportunities due to wrong impressions made. They are hesitant to smile because the gaps in between teeth may be visible in public. Teeth bands can easily lessen the gaps and help build one’s confidence in a short period of time, as people can use them at any time of the day because they are transparent. Contrary to popular belief, teeth bands are safe to use if proper guidance and consultation with an orthodontist are done prior to wearing. Misuse of the said product can cause severe dental problems in the future. Mackenzie Louis is a Content Writer for Orthofill. He graduated at the University of Toronto. He enjoys reading and writing most genres but mainly focuses on Dental Care.